A new book by Lord Mountbatten’s ADC: Creation of Pakistan a part of the British "great game"? LAHORE: A controversial new book by Lord Mountbatten’s ADC claims that the British nurtured the idea of Pakistan as a sort of pro-West “forward defensive glacis” against the USSR and a potentially pro-Communist Congress dominated India. The “Untold Story of India’s Partition: The Shadow of the Great Game”, by Narendra Singh Sarila, is a gripping narrative on the basis of the new material he was able to study. Lord Wavell, being a military commander with a global perspective, thought that the Soviet Union would threaten the British empire and the All India Congress would be more prone than the All India Muslim League to side with the Communists. Wavell was thinking of the Middle East and its oil wealth. Linked to this feeling was the strategic “possibility” that a region within India could be separated to act as the forward defensive glacis against Communism. By 1946, more and more British military leaders were thinking of the threat of “Russia” and anticipating that the next imperial war would be fought in the region. When the British entered the war against Germany in September 1939, the Congress was ruling in eight out of 11 provinces. It then inexplicably decided to resign from these governments, awarding a walkover to the Muslim League and forcing Wavell to further refine his policy of supporting the Muslim League as a political makeweight. Sarila argues that this Congress resignation not only brought the Muslim League to power through the backdoor, it made partition possible by loosening from the Congress hold the Muslim-majority province of the NWFP. In the event, says Sarila, Congress could not set foot in Punjab where men were enlisting for war 200,000-a-month, and Congress supporters from big business were producing overtime for the war effort and making profits hand over fist. Jinnah was more pragmatic. Raj politics was not black and white, it did not lend itself to principles, and that is the way it had to be played. Jinnah became sole spokesman under the Conservative Party, and when the Labour Party came to power its efforts to right the political balance in favour of Congress came up against the “precedents” set by the earlier administration. 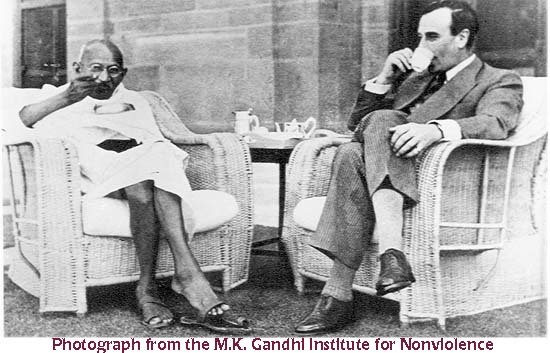 In 1942, with the Japanese threatening to invade India, it was Gandhi’s turn to do something inscrutable: he tabled a resolution asking the British to “quit forthwith” and told the Japanese India had no quarrel with them. Almost all the Congress high command disagreed but passed it, only to change it overnight when Nehru threatened to quit Congress instead if it went public. If Wavell thought of withdrawing the British army from what was to become India and locating it in what was to become Pakistan in order to defend the Middle East from Communism, he was disabused by the lack of support his favourite Jinnah enjoyed in Sindh, the NWFP and Punjab. Sarila captures the weak moments of the leaders that let India be divided. When Partition came, Nehru was “tired, worried and unhappy”. have u read this book and what u say about it?? Infact, I haven't. I am trying to get a copy though, and will post a review afterwards.